NORTH BAY, Ont. 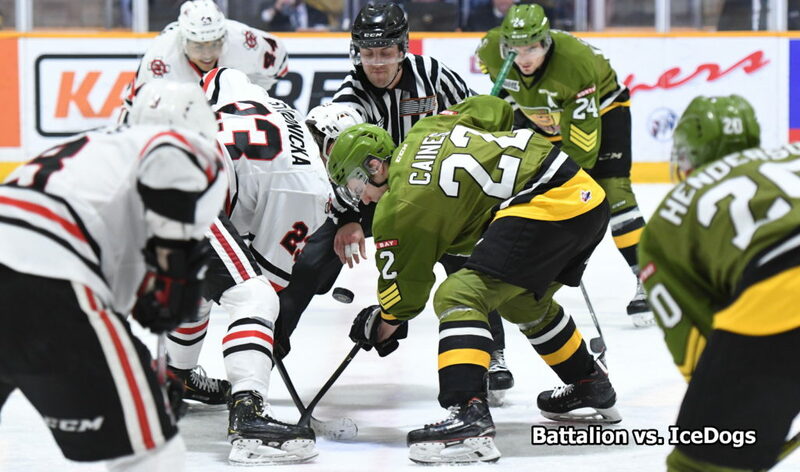 — The North Bay Battalion, which embarks on its first-round Ontario Hockey League playoff series as decided underdogs to the Niagara IceDogs, is ready and willing to play the role. “Any time you come into a series like this, there’s opportunity for you to prove people wrong,” Battalion assistant coach Adam Dennis said Wednesday. 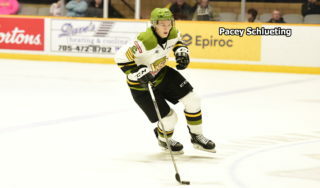 The Battalion, which posted a won-lost-extended record of 30-33-5 for 65 points, fourth in the Central Division and seventh in the conference, visits Niagara at 7 p.m. Thursday to open the best-of-seven series. The IceDogs, second in the conference, captured the division title with a 44-17-7 record for 95 points. 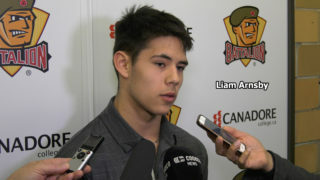 The Battalion won two of six games against Niagara this season, including one of three at St. Catharines. The IceDogs won 8-3 Sunday at North Bay in the regular-season finale for both teams. Niagara boasts a potent offence, with seven players operating at better than a point per game. Ben Jones and Akil Thomas each generated 102 points, Jones on 41 goals and 61 assists in 68 games and Thomas on 38 goals and 64 assists in 63 games. Kirill Maksimov scored 40 goals and added 39 assists for 79 points in 63 games. Jason Robertson had 25 goals and 54 assists for 79 points in 38 games after a Nov. 20 trade from the Kingston Frontenacs. 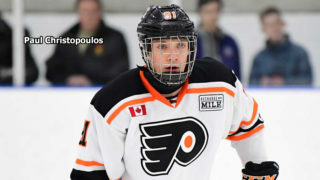 With his Kingston production included, Robertson won the OHL scoring title with 48 goals and 69 assists for 117 points in 62 games. 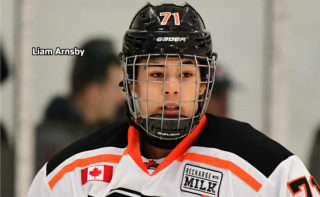 North Bay’s Justin Brazeau was second in league scoring with a franchise-record 61 goals and 52 assists for 113 points in 68 games. 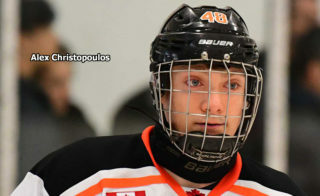 Other IceDogs to generate better than a point a game were Philip Tomasino, Jack Studnicka, who arrived in a Jan. 8 trade from the Oshawa Generals, and Ivan Lodnia. Dennis said that, apart from early scoring and some big checks, goaltending is a key to turning the tables on the favoured ’Dogs, putting the Troops’ Christian Propp in the spotlight. The Frontenacs defeated the Battalion in five games in the opening playoff round last year, taking the last game 6-5 on Gabriel Vilardi’s goal at 14:05 of the third overtime period at Kingston. Propp put on a goaltending display for the ages, making 71 saves. The goaltender knows the threat posed by Robertson, who had four goals and three assists for seven points in the Kingston series, including one goal and one assist in the final game. Propp went 24-24-2 in 51 games this season with a 3.98 goals-against average, an .893 save percentage and two shutouts. 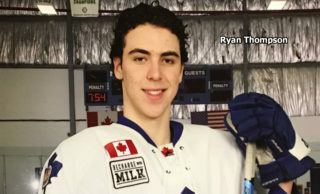 His Niagara counterpart, Stephen Dhillon, played 58 games with a 2.97 GAA, .909 save percentage and six shutouts, tied with Ukko-Pekka Luukkonen of the Sudbury Wolves for the league lead. The Battalion will be without Luke Burghardt for the series opener as he completes a two-game suspension for a match penalty for slew-footing assessed in a 7-4 road win last Friday night over the Mississauga Steelheads. Billy Burke, Niagara’s head coach, will be back on the bench after serving a two-game suspension for a verbal altercation at the end of a 4-2 home-ice win over Mississauga last Thursday night. The second game of the set will be played Saturday night at the Meridian Centre before the series moves to Memorial Gardens next Tuesday night. The games at Niagara can be seen live in North Bay on YourTV Channels 12 and 700 and heard on Country 600 CKAT.